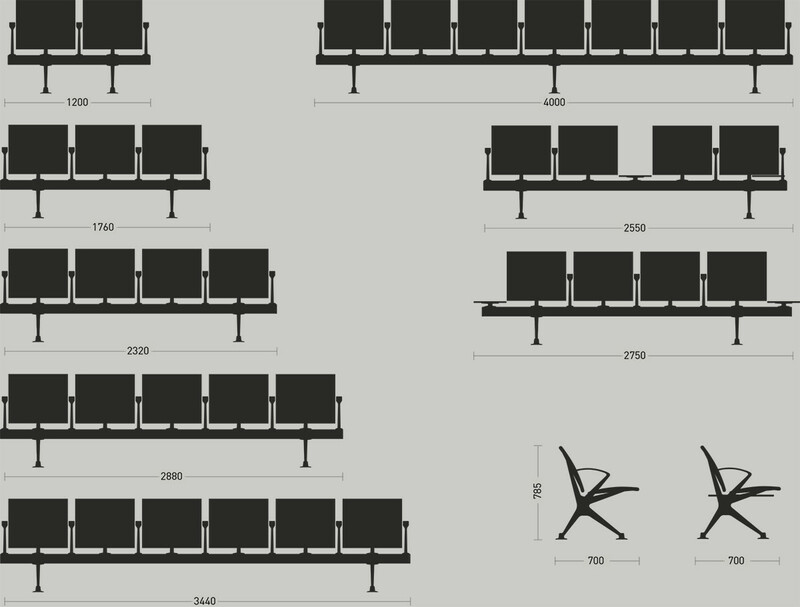 Incorporating all of OMK’s experience in public seating, Flite has a compact footprint to maximise seating capacity. 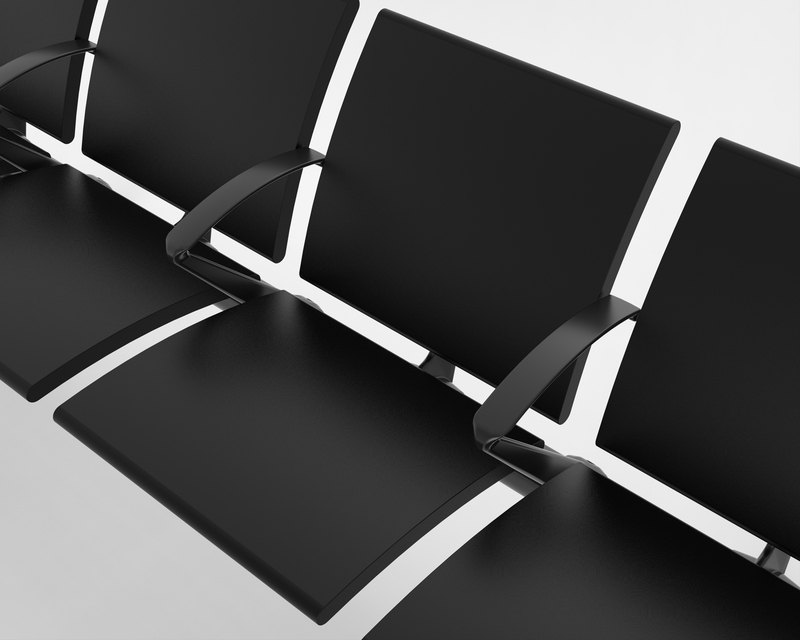 A single bracket supports identical seat and back panels to create a low cost, high performance seat. 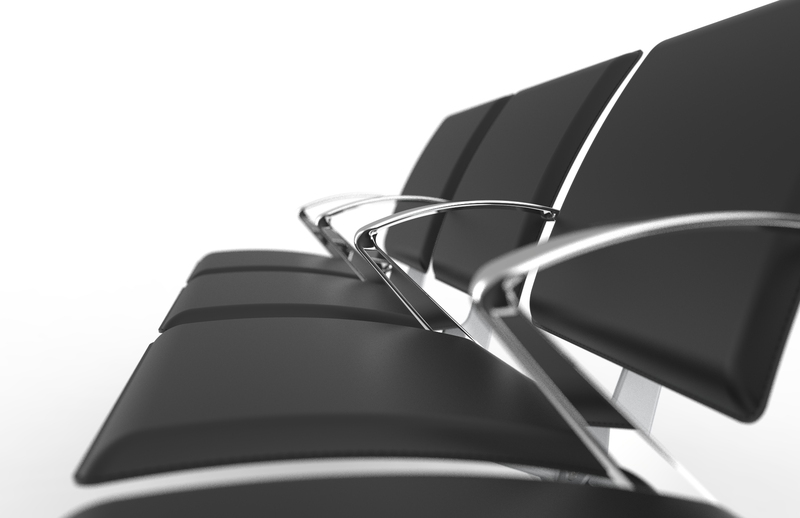 The seat and back sub assembly attaches to an extruded aluminium beam with only two fixings making it possible for Flite to be assembled in minutes by a single operator. 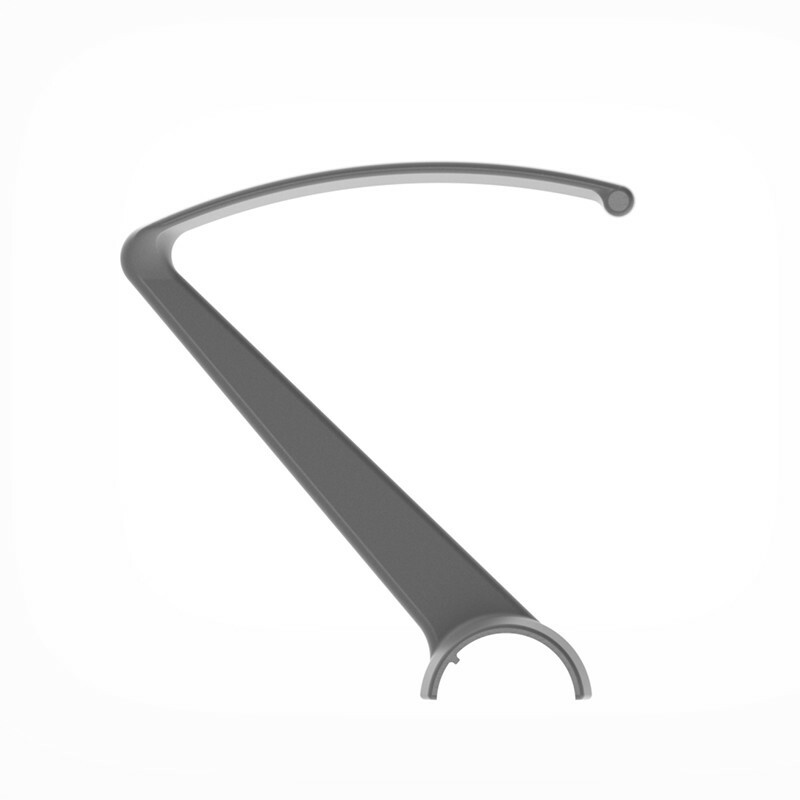 Integrated features such as the power arm can be combined with a range of finishes to configure Flite to suit all specifications. 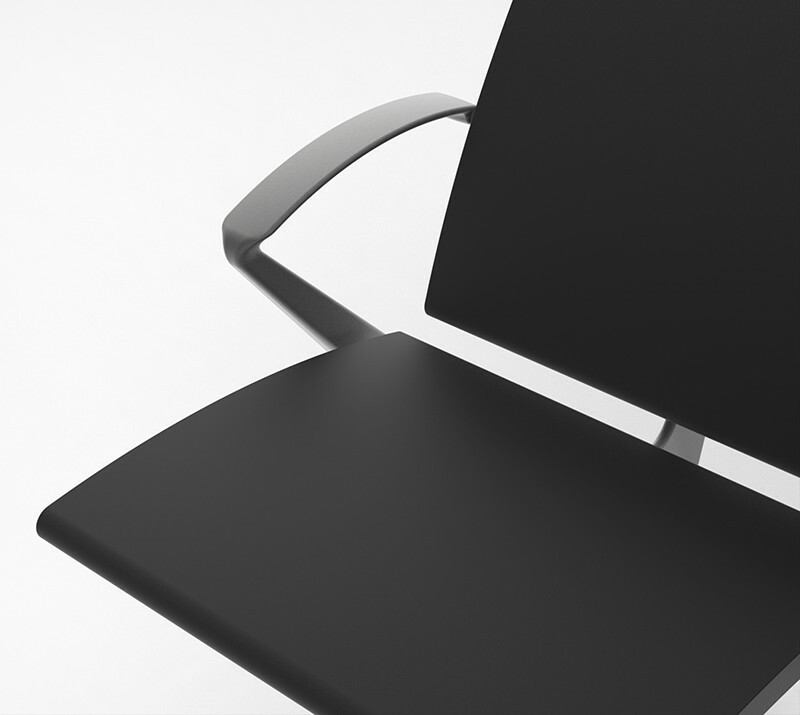 Available in moulded polyurethane, coach hide leather and soft upholstery. 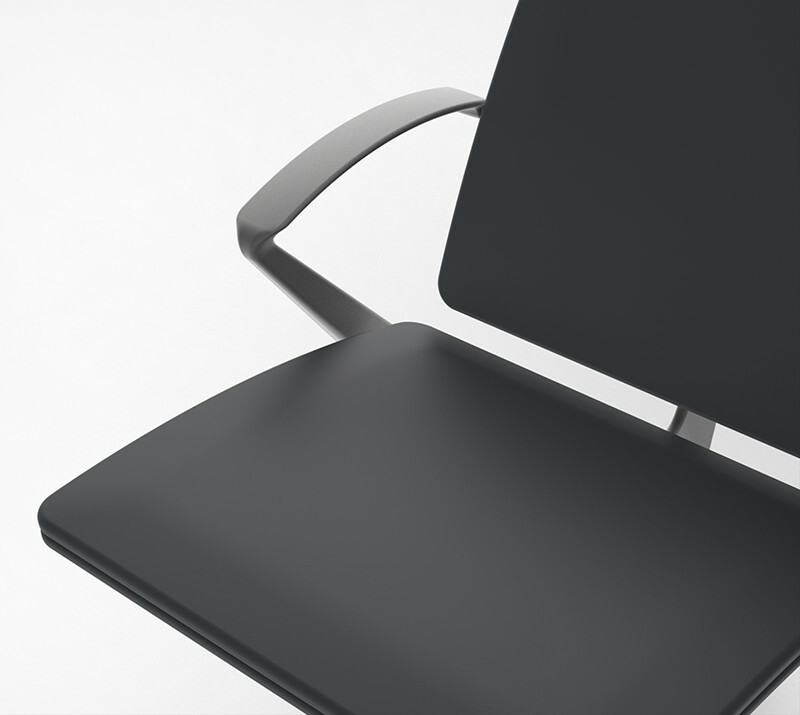 Seat and back panels are identical minimising spare parts and allowing panels to be swapped to extend time in service. Using the same framework as the low back, high back panels are available fully upholstered with a range of vinyl and soft leather finishes. 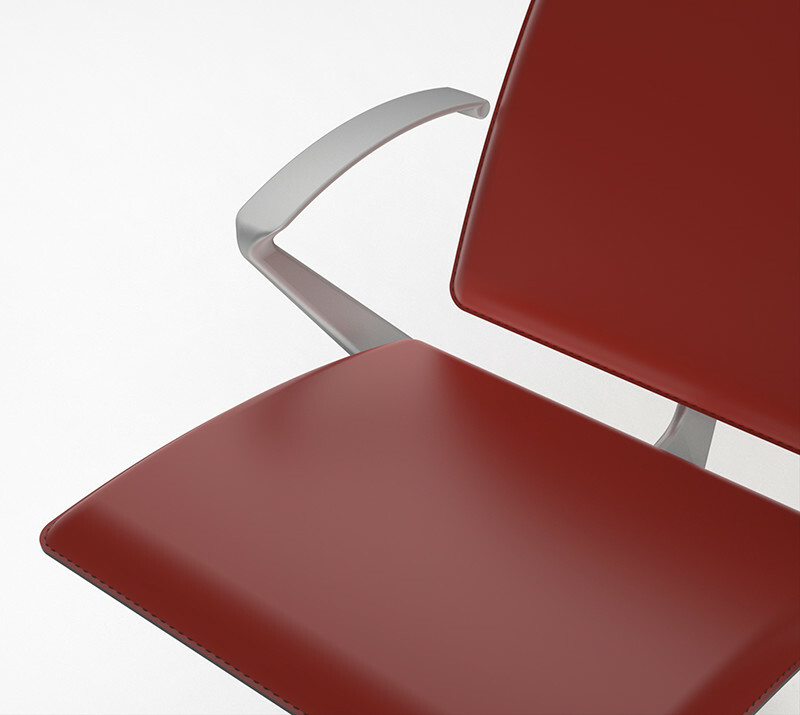 Comfortable and durable, self-healing polyurethane is available in any RAL colour. Suitable for interior or exterior use. Hand stitched in Italy, coach hide leather is a luxurious and highly durable finish providing a practical specification for prestigious projects. Designed for comfort and available in a wide range of fabrics and leathers. 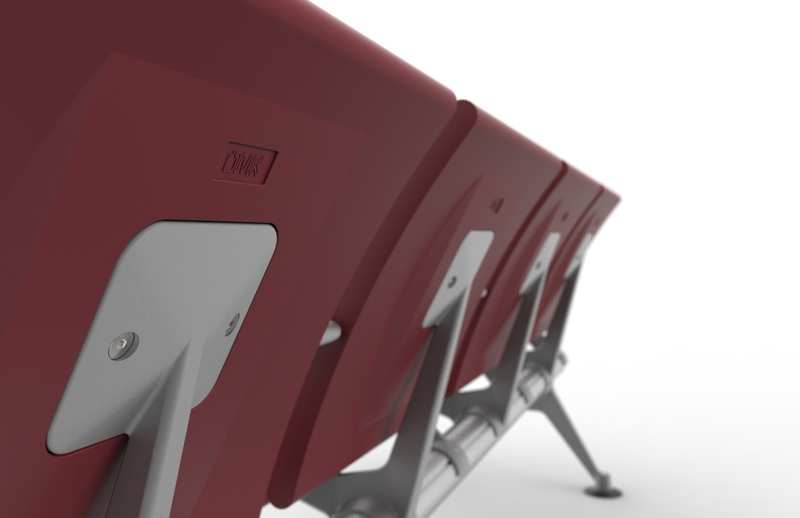 Available in either Low or High Back chassis options. Flite has a wide range of PRM options available at order or to retro-fit. 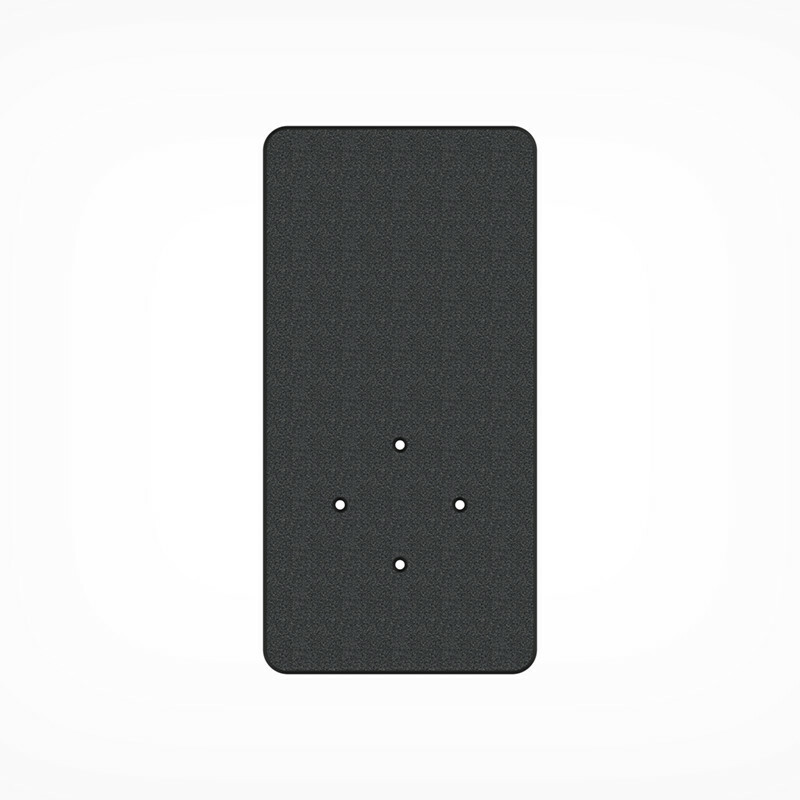 Universally recognized symbols are moulded into the polyurethane panels to ensure longevity. 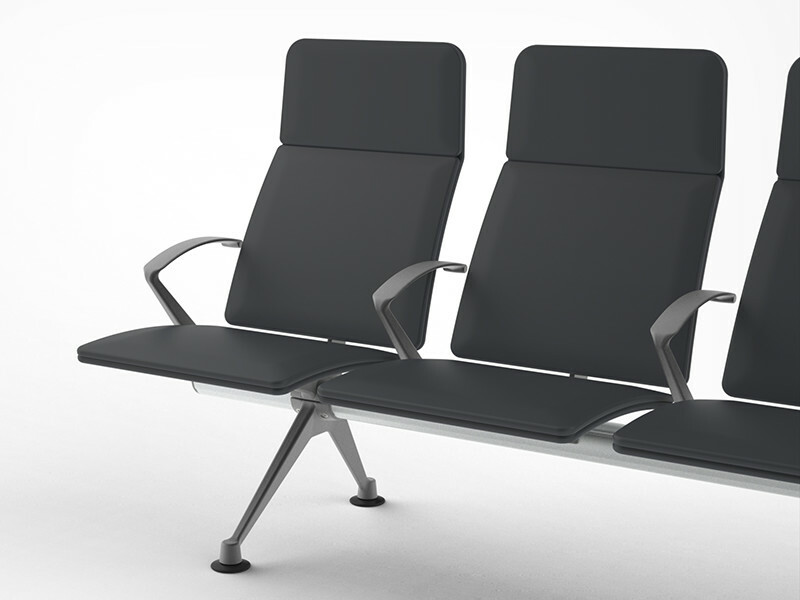 Individual seats can be raised and longer padded armrests provide added support. 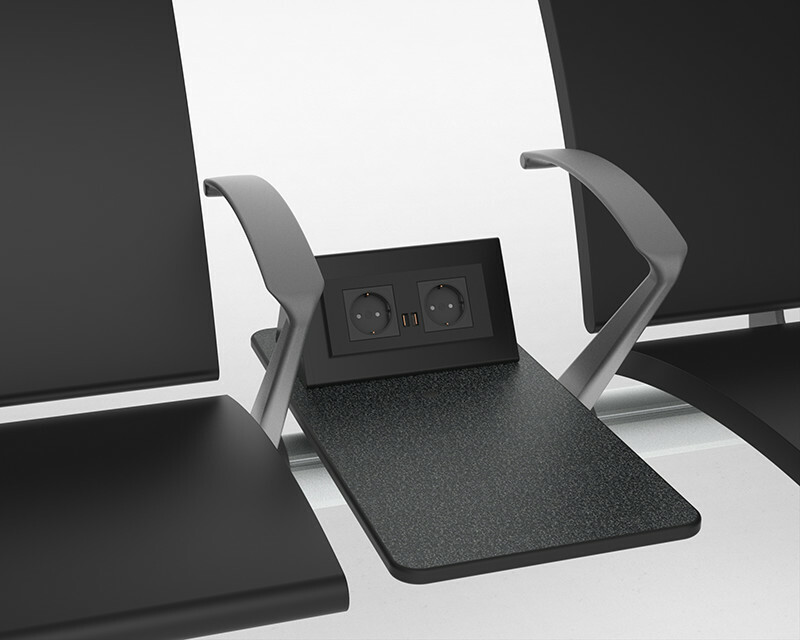 The integrated power arm can be placed at any position along the beam replacing a regular arm rest. 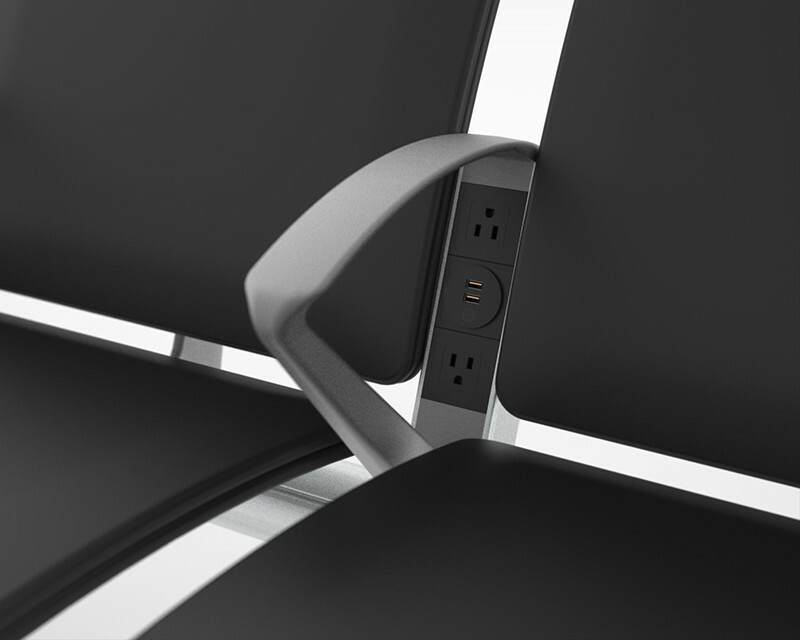 Includes 2 power sockets, available in any international standard, and two fast charge USB sockets. 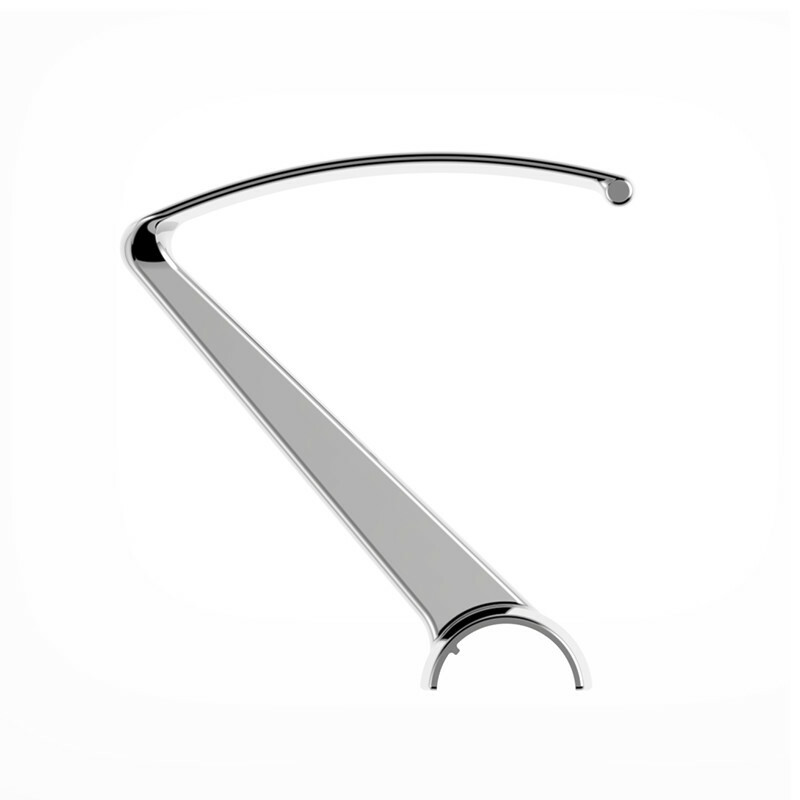 Removable modules are mounted inside a custom extruded aluminium housing, making it easy to upgrade to the latest technology or replace in event of damage. 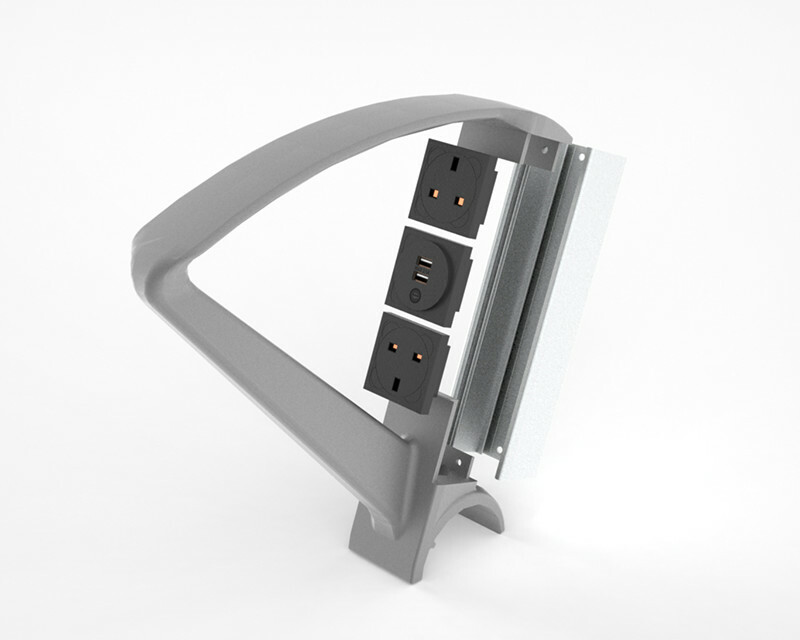 A standalone power unit is mounted on top of the table, cabling passes through the table and into the beam. Available on both full and half tables. 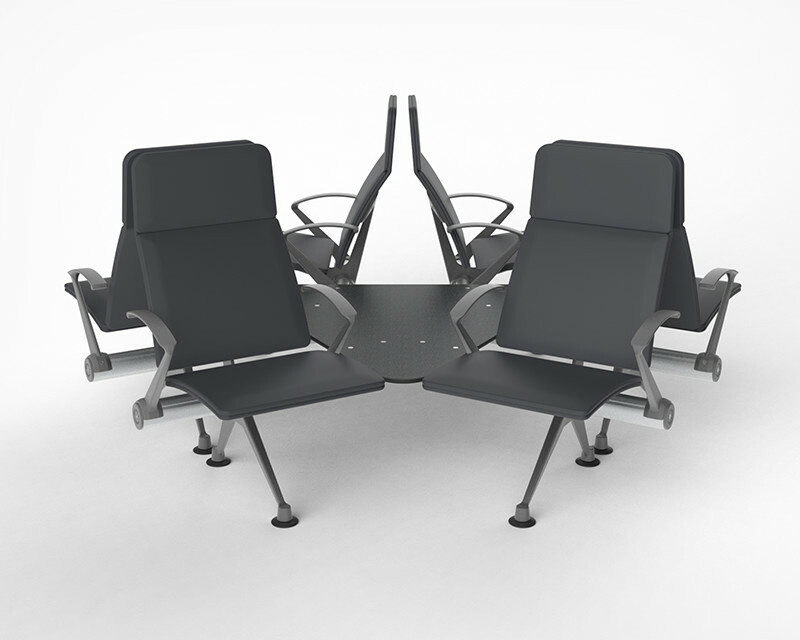 As an alternative to traditional linear arrangements Flite hubs create dynamic layouts, providing a 360 degree view of the environment and creating social spaces for groups. 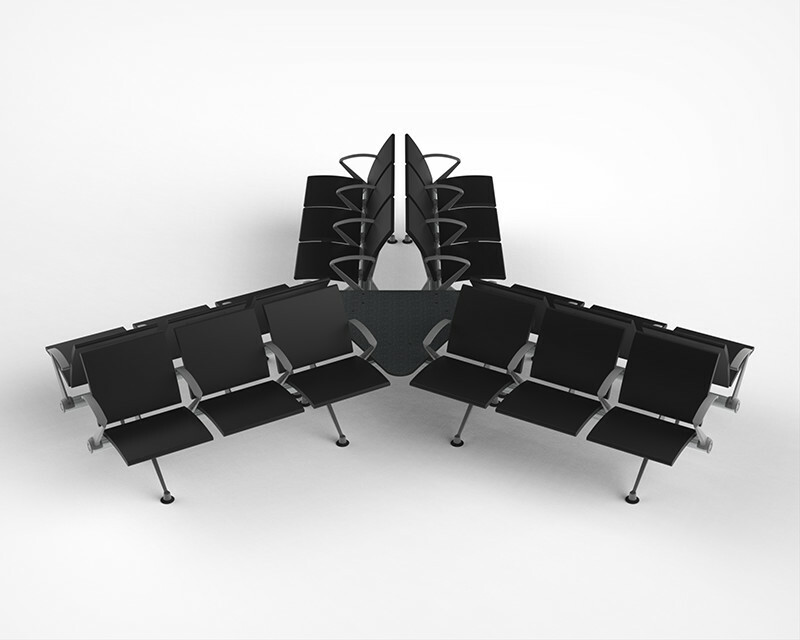 Hubs can be used individually or connected to form an articulated seating unit. 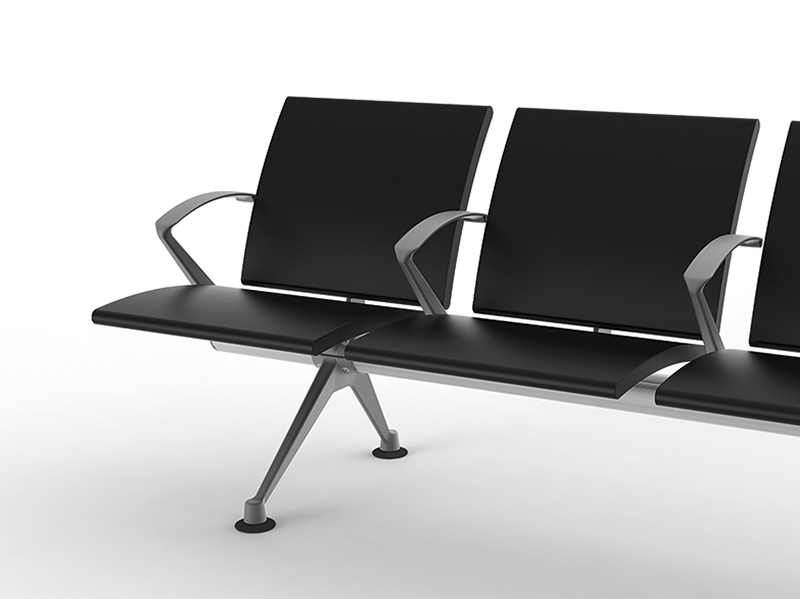 Seats can be positioned along the beam as a continuous bench of any length, with or without intermediary arms. 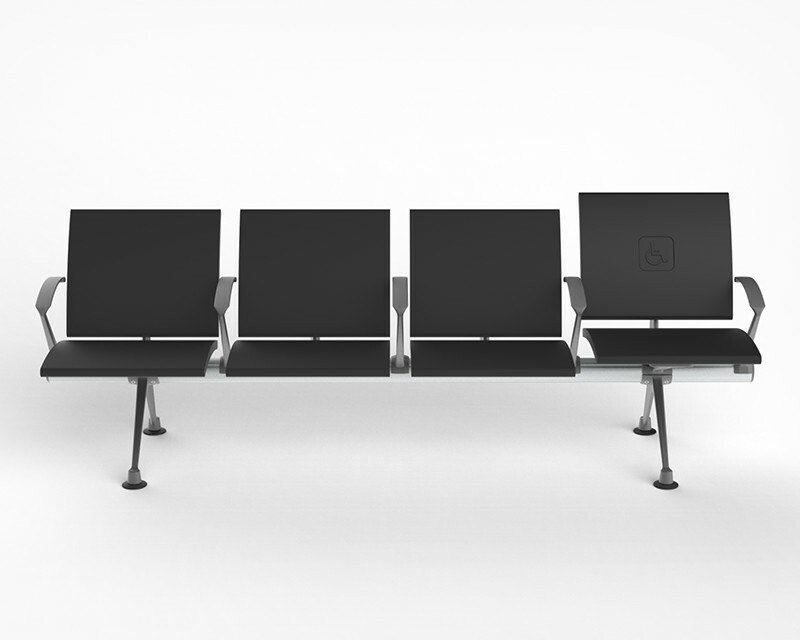 Optional tables can be positioned on the end of the beam or in between individual seats. 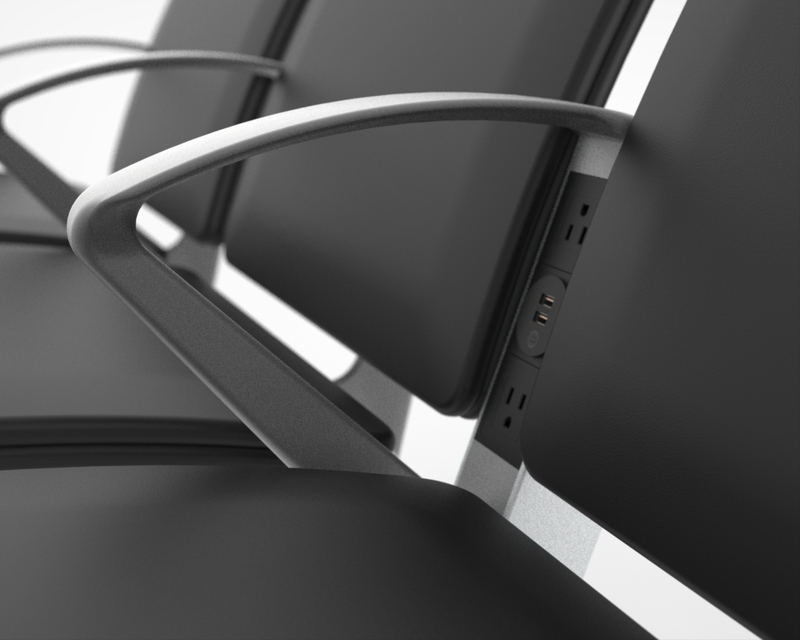 OMK power units feature two regional power sockets and two intelligent fast charge USB ports to power the latest generation of mobile technology. Create your ideal Flite system by selecting your chassis, finish, and accessory options. Colour palettes for all finishes are available on request. Please see the Trax and Seville pages for other configurators, and contact us if you need assistance, or have a special request.